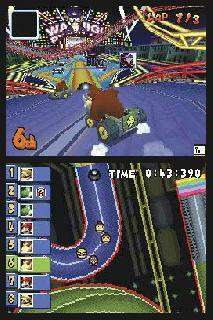 MARIO KART DS is another MARIO KART series, using more power-ups such as the blue shell, bob-ombs and many more! 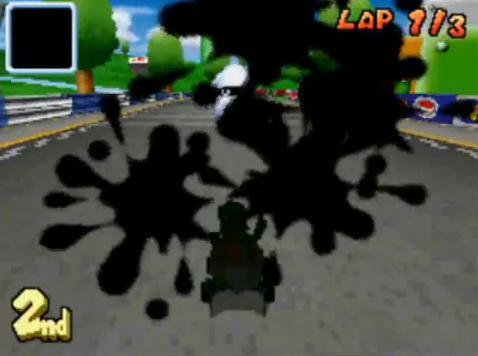 The quality of performance is good and more fun than other MARIO KART! 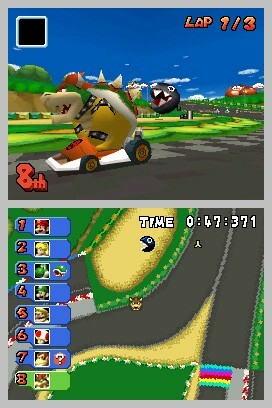 Not only is the great Mario Kart series being put to a handheld again, but it's the first in the series to go on wifi. This gives you the chance to verse random players or even your friends. 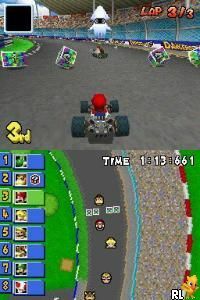 Mario Kart DS comes packed with not only a big cast of racers but a huge cast of karts to choose from. Not only that, but the game also holds some of the best courses that I have ever seen. It would be wise to get this game. 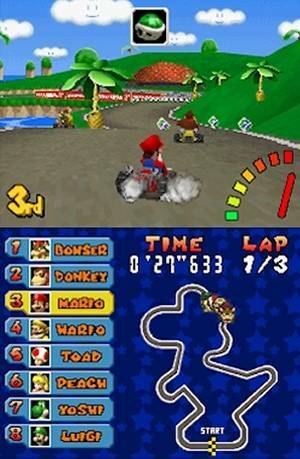 Debating whether Mario Kart would return in the form of Mario Kart DS was a given, gamers everywhere had enjoyed the creative ideas that surround the series. 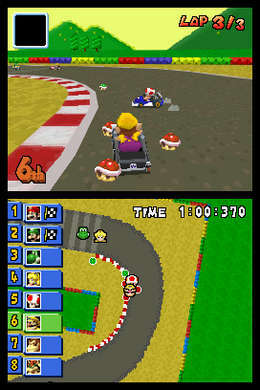 Mario, Luigi, Peach, Wario, Yoshi, Donkey Kong and all your other favourites return racing side by side. The items are far more balanced this time round, with most items not bringing you to a sudden two second stop. Everything you've come to expect from the series such as Grand Prix racing, time trials, battle modes, are here - but now with many more! There are challenges you'll look to conquer that make appearance in the form of a campaign mission mode - complete with its own final bosses and hidden unlockables. This makes for a highly entertaining game, that will always have something fun for you to do. 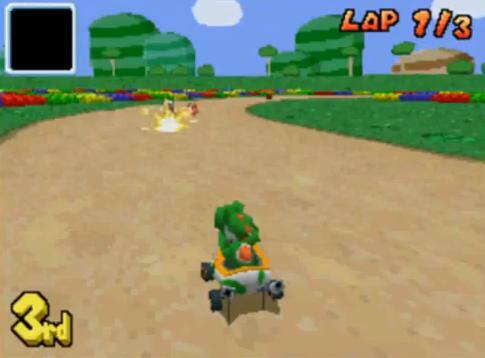 If you get stressed on the challenges, blow off some steam on a nice cruise through Baby Park - yes it returns - as do many other classic tracks from previous games. Get out there, start your engine's this is not to be missed! This game was AMAZING! It kept the same features of Mario Kart 64 and only enhanced! The controls are a bit more difficult, but that probably has partly to do with having to use the control pad versus the control stick, but otherwise this game is great. All-in-all, this game was great. And I'd highly recommend it to anyone that would like to try the best racing game ever made! 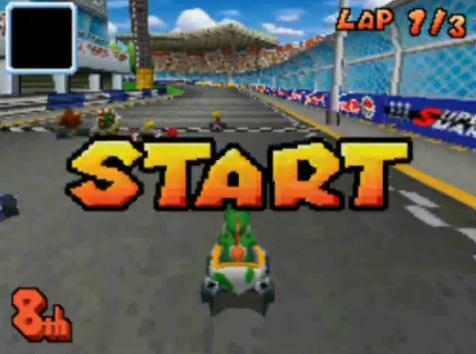 Another Mario Kart game. 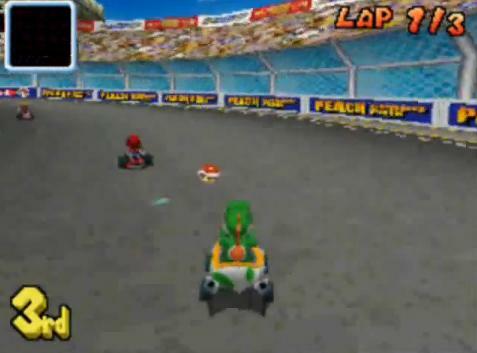 You can use things such as bananas, turtle shells and even bombs to deteriorate your rivals' lap times, or you can try to knock them out in the battle mode. You can actually play battle against the computer now. It's probably one of my favourite DS games. 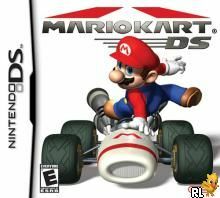 Read all 6 reviews for Mario Kart DS (U)(SCZ) Submit your description for this title! Now you can add videos, screenshots, or other images (cover scans, disc scans, etc.) 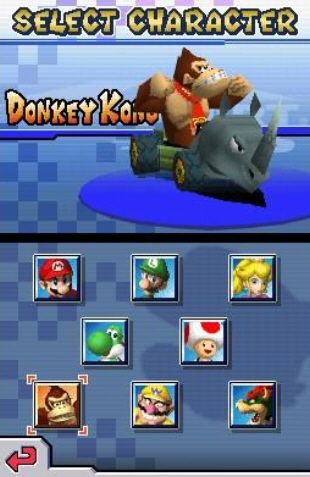 for Mario Kart DS (U)(SCZ) to Emuparadise. Do it now! If you haven't noticed yet, we have a retro game of the day feature (top-right of the screen) wherein we feature a new retro title every single day! Now, you can vote for your favorite games and allow them to have their moment of glory. 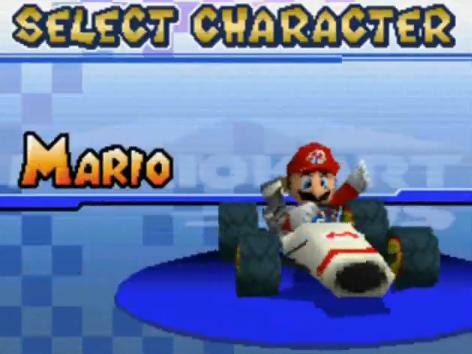 Click on the button below to nominate Mario Kart DS (U)(SCZ) for Retro Game of the Day.